Erected in loving memory of our dear parents. 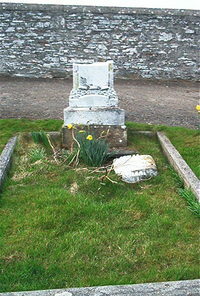 Alexander Mackay died at Upper Lybster 22nd April 1900 aged 60. Wife Jane Bain died 3rd October 1922 aged 83.